Ready for some brain-bending puzzles? Remember the Oblo? We first showed you the Oblo in 2009 when it still a concept but it has since become available. 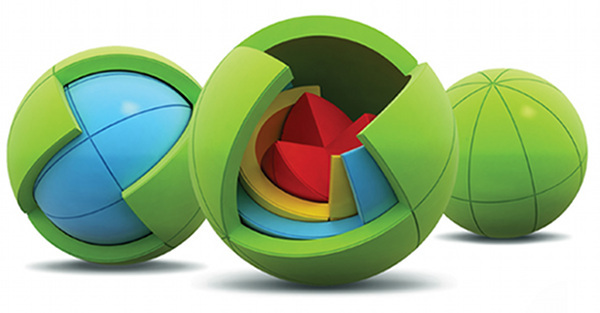 Oblo is a 3D puzzle made of differently shaped and coloured spherical pieces that require twisting and turning to put it together and take it apart again. It’s aimed at children aged five years and over and the degree of difficulty can be increased for older children. The Oblo is available at a new lower price of $39.95 from Smarter Puzzles. Smarter Puzzles has lots of logic puzzles for individual play. 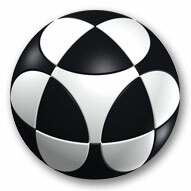 Can a puzzle get any more stylish than the Marusenko Sphere?! 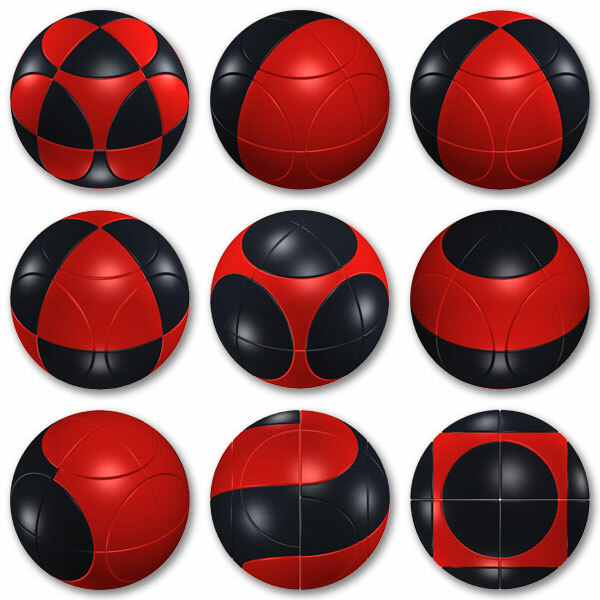 The sphere is available in various colours and five difficulty levels. The goal is to return this three-dimensional puzzle to the starting position but with nine different types of movements, it’s trickier than it sounds. You may think that the king of all logic puzzles, the Rubik’s Cube, can’t be improved. Think again. The Rubik’s Touchcube is the newest cube in the Rubik’s family and it’s the puzzle we all know with some additional modern features. The Rubik’s Touchcube is equipped with touch sensitive technology so that you can twist and turn the cube with a swipe of your finger. 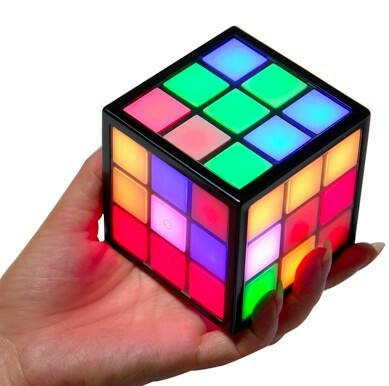 It comes with its own recharging stand that provides a light show while it charges and unlike the original cube, this one will give a hint if you get stuck! The Oblo is $39.95, the Marusenko Sphere is $34.95 and the Rubik’s Touch is $270. All are available from Smarter Puzzles.